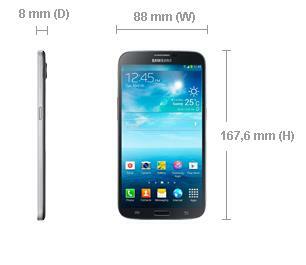 Samsung, the South Korean company, has come up with a new smartphone called the Galaxy Mega. One of its unique features is that it has a very large screen measuring 16 cm (6.3 in). With such a large screen, the smartphone looks like a combination of a tablet and a cell phone, which is why such large-screened phones are being called ”phablets”.